Mengi Yay’s new Project Virtus has reached the final stages of construction, with the assembly of the 44 metre motor yacht completed. All the steel and aluminium work is done and the outfitting and electrical installation is due to begin. The yacht is currently due to be launched in mid-2019. The yard and designers, VYD Studio, released a video on social media showing fitting of the hard top. It comes after the yacht was transferred to a different hangar at the yard’s Tuzia shipyard. 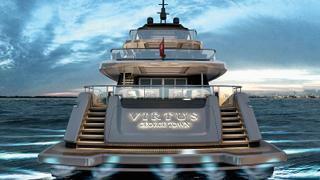 After her launch, Virtus will become the yard’s second largest motor yacht behind the 45 metre Aquarius. 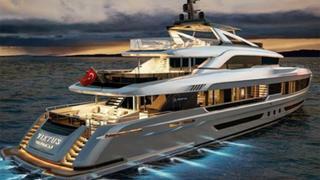 Sea trials will then take place just outside of the Mengi Yay shipyard in Tuzia, Istanbul. After sea trials Virtus will remain in Istanbul Technical University’s Tuzla campus while furnishing and interior touches take place before students from the university are treated to an up-close tour to show them how such yachts are made. Developed in collaboration with Ginton Naval Architects, this 43.6 metre aluminium yacht will feature interior design from BTA Design and VYD Studio, which also created the exterior lines. 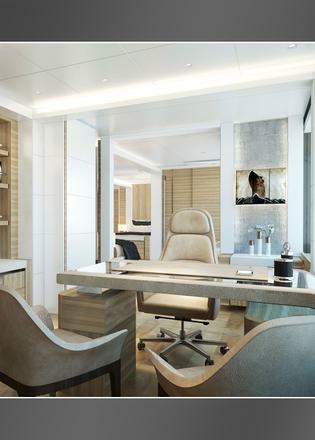 When completed, Virtus will boast plentiful deck spaces, including a foredeck seating and sunbathing area. 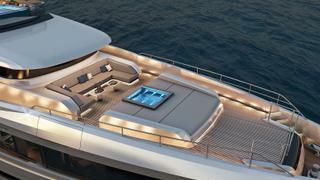 The superyacht sundeck is split between a spa pool and an area for sunloungers back aft, while the sheltered cockpit includes an aft-facing wrap of seating for great views out to sea. Formerly known as Hull NB96, Virtus features accommodation for up to ten guests split between a master suite and four further cabins. Meanwhile, the crew quarters allows for a staff of up to eight people. Power will come from a pair of 1,450hp Caterpillar C32 engines for a top speed of 15 knots. When trimmed back to her cruising speed of 12 knots, Virtus should boast an impressive range thanks to a total fuel capacity of 51,000 litres.